The POWWR of an idea and a few enthusiastic people…. It was a dark and stormy night……okay it was a tournament run by Val Butler, myself and some very enthusiastic volunteers, on Sunday October, 30th 2016, when it all began. We all went out to chat after our successful endeavour and the spark was lit, so to speak. 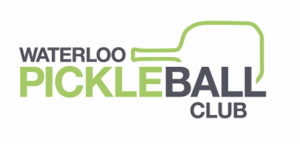 Why not start a pickleball organization in the Waterloo Wellington area? Our first “meeting” was with a few keen people in a donut shop! Sweet beginnings…. Val Butler, Mike Ellis, Philip Rajotte, Mary Rajotte, Pat Eldridge and myself. We decide to try to make a go of it and find out if others were interested. We had a lot of experienced people, from all different backgrounds and areas of expertise. We realized we were missing the “how to” of starting a non-profit sports organization, minor detail. 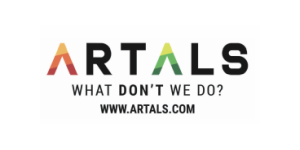 So we rolled up our sleeves and got to work, with assistance and support from Jim Zuber (who, by the way, also designed our fabulous logo!). Thanks Jim! We would love to be out and more involved right now in the pickleball community, but as you can see we are still a work in progress. We have all been learning as we go, and have all discovered it takes time. The exciting pickleball news is that we just finished running a four week ‘drills and skills’ clinic at the KW badminton club, ran a referee clinic at RIM, started Nighthawks at local schools and are hosting a tournament on July 19th, 2017. We are hoping to run more pickleball events in the near future, so please keep checking our website. If you would like a more personal invitation, please register you name on our contact section of our website.